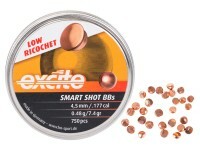 Excite Smart Shot Lead BBs are double-copper-coated BBs with the exact same diameter as steel BBs (4.35mm). What does that mean for you? 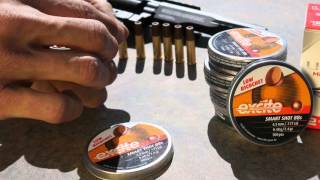 You get a better ammunition choice for your spring-loaded BB gun magazines. Clean. The double coating of copper plating provides just enough hardness to prevent the lead from deforming in the barrel of your airgun. 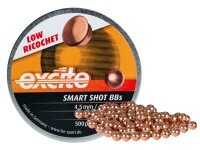 So unlike traditional lead balls, you won't experience lead fouling in the barrel. Versatile. 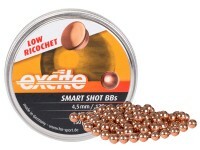 Now you can shoot at steel targets, shoot competitively, and even shoot indoors with the Smart Shot BBs in your BB handgun or rifle. 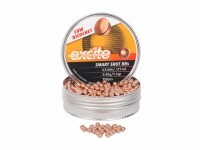 The copper coating makes their surface much harder than traditional lead balls, yet they still flatten on impact. 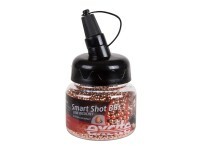 Smart Shot BBs offer a whole new world of target choices for you to shoot at. 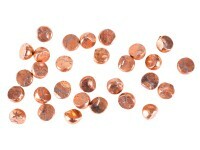 Things I liked: Copper plated. Exactly the same size as BB's. Screw top lid (blister pack). Things I would have changed: Not sure how it would be done, but if they could figure out how to put a small piece of steel in the center, the magnetic magazines would work. But that's probably wishful thinking. Probably cost way too much even if they did figure out how. What others should know: Exactly the same size as a BB. This means it rides on top of the rifling and will fall out of a downward pointing barrel. It also means that they are ideal for spring operated magazines and for any replica that uses cartridge inserts. 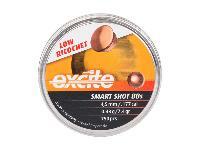 Ricochet becomes almost never, unlike steel where that is always an issue. Things I liked: Interesting usage factors. Not attempted by regular metal item. Can these be shot in a pellet gun? It would be smart if Pyramid would format these products in a similar manner. 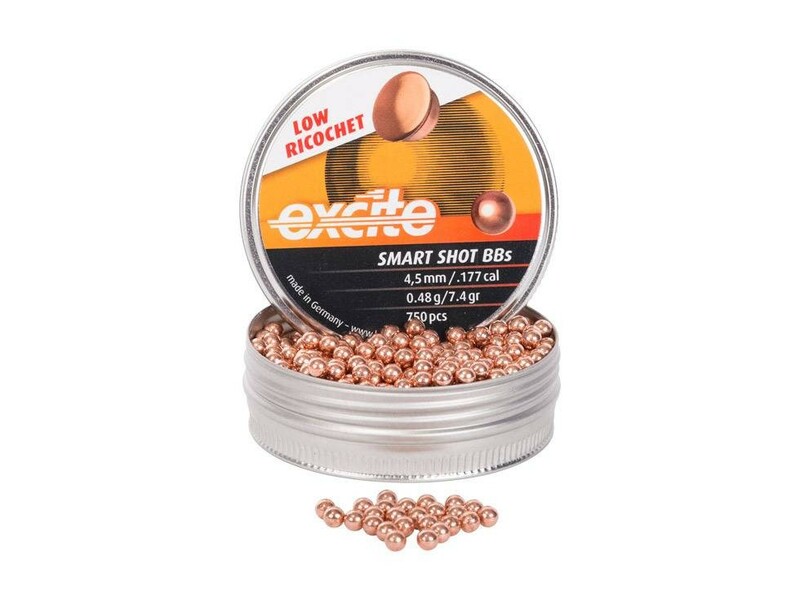 If you look for Excite then this one does not show up in your search: H&N Smart Shot .177 Cal,.... If you search for Air Venturi, then only this one shows up in the search: Air Venturi, H&N Smart Shot.... It is inconsistant and makes it harder to find what I am looking for. Thanks for a great website in all other regards. will these work in the ebos or will they jam.